In 1863, Henri Dunant from Switzerland, established the International Committee of the Red Cross, an organization concerned with the alleviation of human suffering. The following year an international conference of 13 nations took place in Geneva, Switzerland, to discuss the care of the the sick and wounded in war. At the end of the conference the nations concluded an agreement, the Geneva Convention. At the end of the conference the nations concluded an agreement, the Geneva Convention. The agreement provided for the neutrality of ambulance and military hospitals, the non-belligerent status of persons who aid the wounded, and sick soldiers of any nationality, the return of prisoners to their country if they are incapable of serving, and the adoption of a white flag with a red cross for use on hospitals, ambulances, and evacuation centres whose neutrality would be recognized by this symbol. Clara Barton, a nurse in the American Civil War, led the campaign to persuade the United States to sign the Geneva Convention. 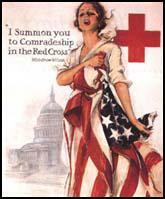 In 1877 Barton organized the American National Committee, which three years later became the American Red Cross. However, it was not until 1884 that the USA signed the Geneva Convention. It was also agreed to support Barton's efforts to distribute relief during floods, earthquakes, famines, cyclones and other peacetime disasters. On the outbreak of the First World War, some people, such as Somerset Maugham, Laurence Binyon and Christopher Nevinson, decided to work for the International Red Cross rather than British organisations. After the First World War it was decided to further amend the convention. 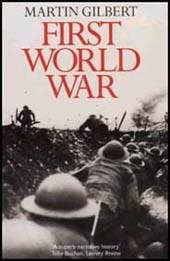 In 1929 a total of 47 nations agreed on rules about the treatment and rights of prisoners of war. During the Second World War several nations failed to abide by the Geneva Convention. At the fourth convention in 1949 (21st April - 12th August) the attending nations agreed to extend and codify existing provisions for four groups of victims - the sick and wounded, shipwrecked sailors, prisoners of war and civilians in territory occupied by an army. (1) In January, 1915, Florence Farmborough attended a special church service in Moscow to mark her promotion to a qualified Red Cross nurse. The golden-robed priest stood before me. "Your name?" "Florence," I answered. The priest paused and whispered to his deacon-acolyte. A book was brought and consulted, then he consulted me: "Of the Pravoslavny (Orthodox) Church?" "No," I said, "of the Church of England." Again the whispered consultation, again the book was referred to. I felt myself growing cold with fear. But he was back again and resumed the prescribed ritual, the tongue slightly twisting at the pronounciation of the foreign name. "To thee, Florenz, child of God, servant of the Most High, is given this token of faith, of hope, of charity. With faith shalt they follow Christ the Master, with hope shalt thou look towards Christ for thy salvation, with charity shalt thou fulfil thy duties. Thou shalt tend the sick, the wounded, the needy: with words of comfort shalt thou cheer them." I held the red cross to my breast and pressed my lips to the crucifix with a heart full of gratitude to God, for he had accepted me. One by one, we moved back to our appointed places. On our breasts the Red Cross gleamed. I looked at my Russian sisters. We exchanged happy, congratulatory smiles. As for me, I stood there with great contentment in mind and spirit. A dream had been fulfilled: I was now an official member of the great Sisterhood of the Red Cross. What the future held in store I could not say, but, please God, my work must lie among those of our suffering brothers who most needed medical aid and human sympathy - among those who were dying for their country on the battlefields of war-stricken Russia.